Creamy hazelnut latte and morning coffee, originally uploaded by Camemberu. Breakfast in Japan...there's not much here in the way of variety for eating out. Most Japanese probably take breakfast at home. And since hubby isn't for any of the traditional Japanese breakfasts (fish, pickles and rice) and really needs coffee in the morning, we hunted down the Western coffee chains. 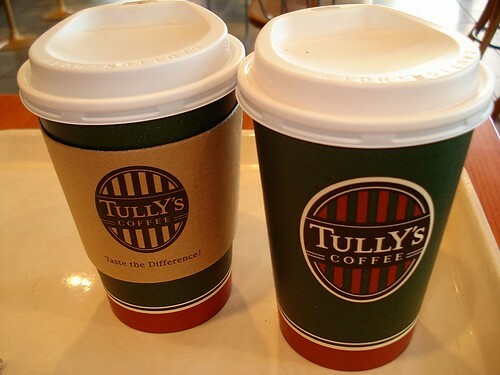 This time round, we saw lots of Tully's Coffee branches, rival to Starbucks. The coffee in Japan is full-bodied and quite European, not so acidic - just the way I like it! But I'm not big on coffee, much prefer tea. 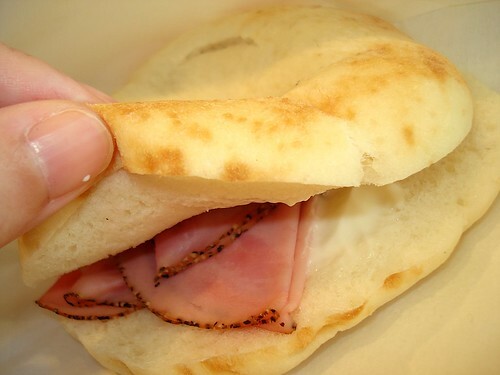 Hot breakfast bagel, originally uploaded by Camemberu. We had a hot breakfast bagel. The bagels here seem softer and less chewy in Japan. Easy to eat. Double cheese foccacia, originally uploaded by Camemberu. This double cheese foccacia was the softest foccacia bread I've ever had - almost as soft as the white Chinese buns. Both this and the hot bagel were delicately flavoured. I chanced upon a Tully outlet in sg- located at Far East Sq. The coffee was , like what you said, just the way I like it! Oh Tully's here? At last! :D I must go try it. 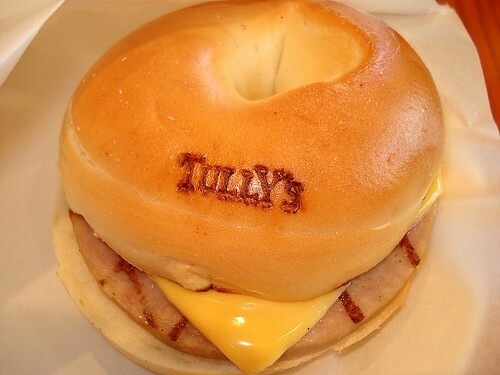 I hear Tully's outsells Starbucks in Seattle (where both were started). Their Expresso Shake is heavenly!